In Mndewere Village in Salima, all footpaths lead one way—to a new borehole Mseka Nyongani, 35, terms “a well of life” in a cholera-prone rural setting. On June 6, 2018, the mother of three suffered the disease, which left her bedridden at Khombedza Health Centre for four days. Giving flashbacks of the outbreak, which changed the way the village perceives water, sanitation and hygiene, she said: “It was a good Tuesday morning, but everything changed around 8am when I suddenly felt weak and experienced profuse diarrhoea. According to Nyongani, the borehole offers the rural, densely populated community along the shoreline of Lake Malawi a lifeline out of outbreaks of waterborne diseases. She counts herself lucky to have survived the disease. However, nothing visibly excites her more than the realisation that nearly 250 households that once relied on a borehole that produced salty water and a river dotted by unprotected wells and stagnant pools finally has a source of safe drinking water. 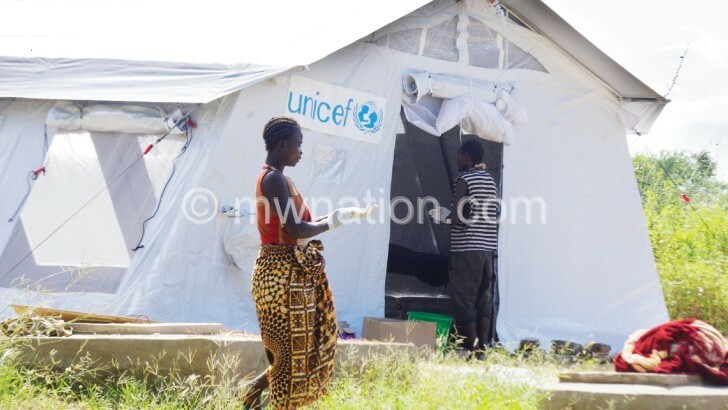 She commends Unicef Malawi for coming to their rescue, saying there is no way the diarrhoea infection would have vanished from the lakeshore setting if they continued drinking unsafe water from Lipimbi River. “The boreholes have liberated us from waterborne diseases, especially cholera and diarrhoea. For many years, we were at risk of cholera infections because we were using dirty water from Lipimbi. Now we have a borehole which produces clean, saltless water, which is good for cooking and drinking,” she stated in an interview in the depth of the river mostly blamed for fuelling the cholera attack. Nyongani was the village’s first person to get attacked by the bacterial disease which thrives in unsanitary conditions, especially where people defecate in the open. When the rains come, runoffs wash away the human waste into waterways the size of Lipimbi where thousands of Mndewere residents used to draw drinking water. 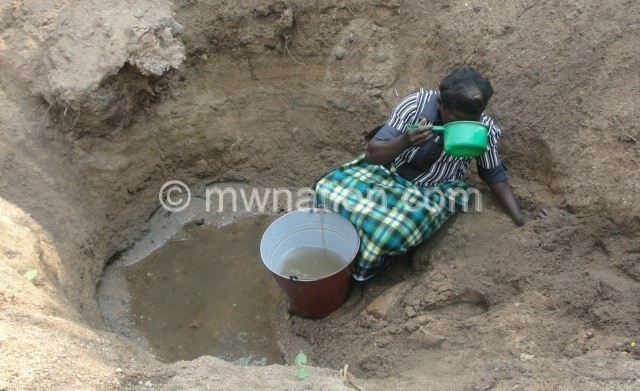 However, Mndewere villagers squarely blame the milky water from shallow wells that dot the river that pours into Lake Malawi, Africa’s third largest freshwater lake, for the disease outbreak which brought untold misery to the rural population. During a visit, women were seen returning from the borehole which has emancipated them from what an aide of group village head Mndewere considers the worst crisis faced by the village amid a global push to ensure everyone has access to safe water, sanitation and hygiene. In 2015, world leaders adopted the Sustainable Development Goals (SDGs) to end poverty by 2030. SDG6, which requires countries to ensure everyone uses safe water and sanitation, offers a boon to ending preventable diseases such as cholera. “Before UNICEF drilled the new borehole, we were left behind. Before the borehole came, there was a huge water problem. The whole village used to convene at the river. If you came last year, you would have found a huge crowd drawing water as if there was a rally or free music show,” said Phiri. The borehole, which is supposed to serve 250 people in line with the Government of Malawi’s standards, serves all 247 households harbouring a population of almost 2 000 people. This leaves the water point overwhelmed, with queues of buckets taking shape as early as 4am. Those who cannot stand the long hours in the queue and incessant scrambles for water still use the river. During the visit, women were seen drawing water, washing clothes and cleaning kitchen utensils in wells that dot the river district water officer described as “heavily contaminated”. “We are happy that Unicef has given us a borehole, but this is just the start of the war on cholera. To make waterborne diseases, we need more boholes. It is a pity that women and children waste a lot of hours stuck in the queue. This is why many still use contaminated water from Lipimbi. The good news is that many have started boiling or treating drinking water with chemicals to kill germs,” he said. When cholera erupted, the district health officer Khombedza ordered the villagers to stop drinking water from the river as tests by Unicef Malawi in partnership with the department of water development showed it was contaminated from the source. Correspondingly, group village headman Mndewere deployed patrol teams to ensure no one fetches water from the river. / / was part of the squads that used to work from as early as 4am to as late as 11pm to drive away people. He reckons every person using water from Lipimbi personifies the major setback to the battle to end cholera. He states: “Unicef has done its part to reduce water problems, but the village will never be free from the risk of cholera until everyone uses safe water. Weaving mats in the shade of their glass-thatched house, Tiabalire Kubuwa and her husband Ekileni Wayisoni counted the loss they encountered when their five-year-old daughter was taken ill in June. “We had a peaceful night until Matilda came out of the house in the middle of the night and started opening bowels. She was excreting some whitish stuff. We had no time to waste because cholera was already in our midst. I put her on a bicycle and started off for Khombedza Health Centre. In the middle of the journey, she started vomiting. At the hospital, we found a good number of cholera patients. Some died and others were still on treatment,” said the man. Tiabalire is happy that people in her village no longer have to choose between a borehole, which produces bitter water and a river contaminated by open defecation. “Since we started using the new borehole, cases of diarrhoea has gone down. Now, we feel safe. When cholera struck, we couldn’t make mats for sale nor work in our fields on the river banks of Lipimbi. We stopped making bricks for sale. We couldn’t do any income generating activity.